Six months ago I wrote an article about homeopathy and my first visit to a naturopath. (Read the full article here.) The article was “to be continued,” with intentions of revisiting the topic once I had a chance to determine the results of treatment. Now that I’ve been seeing my naturopathic doctor (ND) for six months, I’m ready to spill about my impressions of homeopathy and NDs. Naturopathic doctors are trained to be primary health care practitioners who treat individuals with the use of natural therapies. Instead of treating symptoms, a ND uses a holistic approach to treat the underlying causes of disease. My ND utilizes homeopathy as one treatment modality. Homeopathy is a practice that treats disease through the administration of micro-doses of natural substances, which would produce disease symptoms if given to a healthy person. 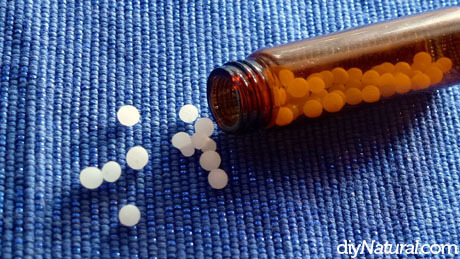 Homeopathic remedies come in the form of BB-sized pellets, and can treat both chronic and acute disease. They are natural, non-toxic, highly diluted medicines made from plants and minerals. Have I mentioned yet that I’m a believer? But first, I’ll just admit right here that after writing the first article about naturopaths and homeopathy, I had a sinking feeling that I might not be able to write a positive follow-up article. I’m admittedly always the pessimist, and I was almost certain the healing I experienced early on would only be short lived. Conventional medicine (allopathy) has always let me down, and I dreaded the thought that alternative medicine may do the same. This time I loved being wrong. I have nothing but big, screaming, bunches of positive things to say about my ND and homeopathy. There are loads of people who are not convinced homeopathy is a legitimate medical science. (I have a hunch these individuals have either used this treatment improperly, or can’t seem to get past the idea that, unlike prescription drugs, you can’t give the same remedy to a large group of people and see the same results.) Keep in mind homeopathy treats the person, not the disease. Two people might have the identical disease, but two very different homeopathic remedies would be given. My ND recommended a homeopathic remedy for me after 2½ hours of collecting very specific information about my past and present health conditions. See? It’s very individualized. So go ahead, call it quackery. Tell me it’s nothing but a placebo effect. Say what you will. Before naturopathic treatment: This chronic infection had been a huge source of pain, discomfort, worry (that it would pop up at the most inopportune times), and wasted money. The prescription drugs I used to take for the prevention of the infection were expensive and were almost completely ineffective by the time I finally broke down and sought out a naturopath. (I feel the need to mention one more time that I dealt with this chronic issue for fourteen years.) Okay, moving on. After naturopathic treatment: Ready to have your mind blown? This chronic infection has been an absolute non-issue for the past six months since beginning treatment with my ND. Not ONE infection for six months after starting the homeopathic remedy. My ND explained that I may get these infections again since my body is very susceptible, but they should never occur consistently as they had in the past. She gave me a supplement as a first line of defense in case the infection reared its ugly head, and I was ecstatic that I didn’t have to use it for six whole months! Thank goodness Matt quickly reminded me that homeopathic remedies can treat acute conditions! AND I have a rock solid naturopath with whom I could discuss the possibility. The next day I frantically contacted my ND asking if she could recommend a homeopathic remedy. She spent almost an hour taking my case over the phone (it was after-hours! ), recommended an appropriate homeopathic remedy for my acute case, and even followed up with me the next day (when she wasn’t scheduled to work!). This is unprecedented in my medical history! Does your doctor do that??? Within 12 hours of taking the prescribed remedy, I had NO symptoms of the original infection! I almost cried. I told Matt I wanted to celebrate, throw a party, buy myself something pretty, and give my ND a big fat kiss! I’ll never turn back. My ND is now my primary health care provider. It still seems a bit strange to me that I don’t have to visit my MD every few months so she can write a stack of prescriptions that I have to dutifully refill. Instead, I regularly visit my ND in a relaxing environment. We get to discuss my health in great detail, without white coats, insurance red tape, and an overall frustration with the medical community. I look forward to each visit, with the knowledge that I’m being treated holistically. No more visits to umpteen million doctors and specialists to treat my forty-leven conditions. I had to catch myself before I launched into a long diatribe about allopathic medicine and how horribly it has failed me over the years. I know the MD was just doing her job and giving me options, but to these options I loudly declare, “I’m confident my body will do what it’s supposed to do now that I’m NOT taking prescription medications!” I saved my loud declaration, and instead nodded my head and smiled, knowing that thanks to my ND, I have access to something much better for my body. Now, back to the part about freaking out when my first line of defense didn’t work. I realized during this ordeal that I’m still working to break free from the mindset that a prescription drug must be the answer. What a stronghold those ideas had over me! Scary. I have some residual brainwash remaining from years of MDs giving prescriptions as if they were the only answer. Maybe it has something to do with all the commercials, magazine ads, and even the pen in my purse that advertises for large pharmaceutical companies. Wouldn’t they LOVE for us to believe drugs are the answer. The transition to becoming a naturopathic patient takes some getting used to. I reminded Matt that as I shift to new thinking, I may need prompting and reminders as I climb my way out of old thought patterns about health treatments. Homeopathy is intended to create a slow, deep level of healing for individuals. The remedies and supplements a ND might suggest will help restore balance in your body over time. Because my health issues ailed me for more than a decade, I expect I’ll see continued healing for a few years to come. I already feel better than I have in 14 years, but I know I can reach an even more improved level of health, comfort, and well-being. For the first time in my life, I feel good about paying a doctor. I feel comfortable putting something in my mouth as part of a health treatment. I feel confident that my body is working for me and not against me. If you would like to learn more about the science of homeopathy, I strongly recommend reading Homeopathy: Beyond Flat Earth Medicine, by Timothy R. Dooley. To find a naturopathic doctor in your area, visit this directory of naturopathic physicians. UPDATE: Thanks to one of our fabulous readers for pointing out that The National Center for Homeopathy publishes the quarterly magazine Homeopathy Today, and its website provides great information AND a directory of homeopathic practitioners. Have you considered using a naturopath as your primary health care provider? What questions do you have about homeopathy that I can (try my best to) answer? LOVE my homeopath! Nearly 3 years ago, I found a small lump on my breast; knowing mamograms were not an option for me, I found a lab that does thermography and received abnormal results (not where we thought it would be). I was 1 level away from certain breast cancer. I also found that my thyroid levels were dangerously low, my D3 was no where close to where it should be, as well as b12 anemia and too much iron! (I had been told for years I was iron anemic!) It has taken my beloved homeopath (also our Pastor’s son) and I 2 1/2 years, but I am HEALTHY!!! Most recently, I have found a nurse practioner that is homeopath friendly! In fact, she uses essential oils on a regular basis! I thank God for my health without nasty meds! Naturopaths can only practice a certain amount depending on the state that they practice in. However, naturopaths do the majority of the classroom work (if not all) that MDs do the difference is mainly in the clinical work. Even so, naturopaths are only allowed to do their practice at a FRACTION of what they have learned because of state law. Some states allow them to practice to their full potential (such as Washington), and the majority of the other states may only allow NDs to give nutritional and/or supplemental advice. However, if they went to a 4 year ND school, they have the ability to practice far outside the nutritional/supplemental area. It’s a shame that people don’t see the benefits of naturopathic care. However, I do believe it’s on the rise and we will (hopefully!) be seeing a dramatic shift in healthcare over the coming years. I have been using an ND for about 8 yrs now. He has helped me to heal from severe ulcerative colitis (an inflammatory bowel disease). Western medicine left me so weary…too many drugs, no answers, a laundry list of things I shouldn’t eat (including raw fruits and veggies!) and disease that advanced year to year. By age 25 I felt like I really shouldn’t have children because I truly believed that I would die young. I was on my way to being completely disabled. Today I am healthy again, two amazing kids and planning to be a little old lady one day. The best gift my ND ever gave me was HOPE! And, step by step, he showed me how to listen to and watch as this body of mine came back from a pretty scary place. Yes, it will cost money to restore your health but without health, life ain’t much good. “Learing to master your fork” as my NP once put it is one big piece of the puzzle and anyone with a little willpower can do at least that much! Blessings to all! I absolutely love reading all your DIY emails. 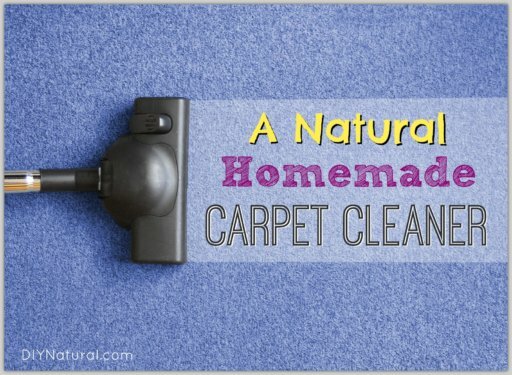 I have tried many recipes for homemade cleaners and enjoy doing healthier cleaning. I will try to find a ND in my area, (I had never thought of this.) But I have used essential oils for healing for a few years now. Just did some research on EV coconut oil and just started using it internally, externally and cooking more healthy for the family. The Vitacost website where I purchased the EVCO also has tons of homeopathic items there. can you give me any info on what to try for an 8yr old with adhd and aspergers? he is off all traditional meds due to side effects, and i havent been able to find anything that helps him calm and concentrate. im trying to stay away from things like synaptol and focus factor, and just do the straight supplements. thank you! Patti…how awesome that you’re trying to help your son with natural supplements! I don’t have any training in this area (except as a patient), and can’t give any recommendations…I would only be guessing. 🙂 I highly recommend seeking out a naturopath or homeopath in your area to help with this. ADHD and Asperger’s looks different in every child, and a professional would be able to suggest the most appropriate thing once getting to know your son. Good luck with this! Hi Patti, something you could look into is the GAPS diet. It was designed by Dr Natasha Campbell-McBride who has a son that was autistic. Her son is now a heathly normal child. Many people have used the GAPS diet for many different reasons and found great relief. Hope this helps. I would LOVE to see a ND, and I looked into it, but health insurance doesn’t cover it. Since we are a family of 4 on one income, it’s not even within the realm of financial possibility for me and my family. Good care is relegated to only those who can afford it. Our out of pocket expenses have averaged around $120/month since starting with the ND. Very affordable. Michelle…I’m learning that although it’s a small number, some MDs, chiropractors, nurse practitioners, physicians assistants, and acupuncturists practice homeopathy. So, if homeopathy is what you’re looking for, it’s worth checking into! Btw… Love your blog and Matt, that was an excellent response to Tom. Love your article. I have been lucky enough to find a medical doctor who is also a nutritionist and where a standard consultation is at least 20 mins long. He takes the time to find out what is going on physically and emotionally including what is happening in my life at the time that could be contributing to the discomfort. Presciption medication is generally his last resort. I have been going to a new naturopath the past few months who is also a registered nurse, which I appreciate. She has been treating me using Herbal tinctures which have been helping build my immune system which has been ruined by too many antibiotics and cold & flu medications over the years. 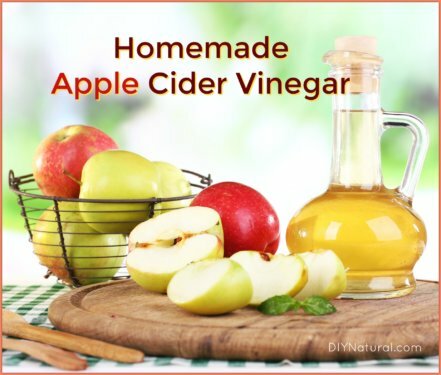 Other naturopaths I’ve been to have used vitamin supplements which I feel do not work as well at the tinctures – none have even used homeopathy with me. So I’ve finally found a great naturopath that I feel is really helping me. Now you’ve inspired me to find out more about homeopathy – and I’m curious about the comment regarding arnica for pain. Definitely something to look into! How wonderful that you’re finding great practitioners in your area! I have just been hearing about arnica recently, and I, too will be researching it more! I really believe in natural healing as my doctor told me that my gallbladder will NEVER heal itself. 2 1/2 years ago, I had a HIDA SCAN and it was @ 29 % and did the test again and it is NOW 34%. It is healing with the help of my herbalist and the natural supplements. Unfortunately, there is not a Naturopath in my area. So, I continue to watch what I eat and eliminate as much man- made food as possible and return to a natural diet as I can. Something I read is that most diseases are curable and it really is a disease of the fork. Ah, I love this…”a disease of the fork!” Well said! I love this – spread the word. I am in medical school to become a ND – I so believe in the medicine and philosophy! Thanks for sharing your experience, it’s a big help to all the NDs out there! I’ve used homeopathy for a couple years and it’s definitely helped numerous times. Colds, flus, headaches, bladder infection (that incident was really impressive), skin rashes- oh, and everyone needs to have Arnica for bruising and sore muscles! After giving birth and having stitches, I took arnica and it helped tremendously with the pain. Whenever I got a shot of pain I took one and it took care of it right away! While my family tries to address all underlying health issues with diet and nutritional supplementation, we use mostly essential oils and also homeopathy for medicine. My life and health has improved dramatically by living this way. Amen Gracie! 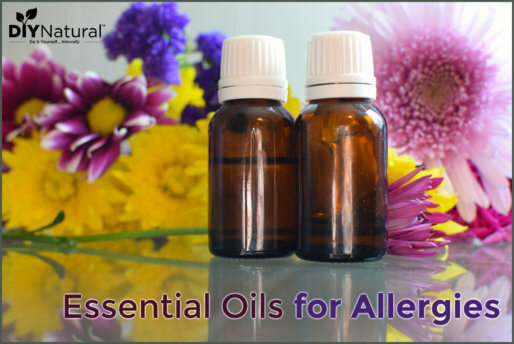 Essential oils are another form of treatment we can’t live without now! I was just learning about Arnica from a passionate advocate a few weeks ago. It’s been on my list of things to check out. So you were brainwashed by traditional medicine and now you are brainwashed by natural medicine. Why all the trust? Where are the scientific double-blind studies about homeopathy? I would like to see those. Have you seen them or are you one of those that thinks if one way is wrong the other must be right? Many people do that. They can both be right or they can both be wrong. Don’t you want to know the real truth or are you content with possible placebos? I do not have a blind trust of any medical treatment, and if they have not been scientifically tested, none at all. If they really work, they can be tested. Again, where are the double-blind studies not conducted by Naturopaths? One more thing. If it takes belief for it to work, it is not medicine. It is religion. Look at all the people who declare God did this or that in their lives. Of course there is no evidence for any of it, but they are true believers, just like you. It’s called magical thinking and involves blind trust and only seeking “evidence” that supports your wishful notion. Tom, after 15 or so years of experience with allopathy Betsy’s issues only worsened. For the last decade their solution has been to issue chemical drugs for the symptoms or antibiotics for any infection. The antibiotics work with less effect the longer used, so she turned to a Naturopath to explore other options, and has had tremendous success in less than one year. We’re not opposed to considering “double-blind studies” but the results speak for themselves. It may be a religion or belief for some, but it’s not for us, we base our conclusions on personal results and experience. Thanks for your comment and God bless. 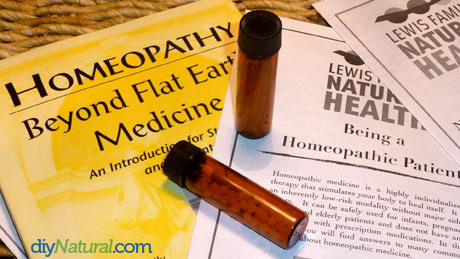 Homeopathy has been the subject of many studies in Germany where the practice arose. There is a myriad of documentation. It is always a subject of amusement to me, an American trained RN with an advanced degree, when people rail against a proven system — they are just not familiar with the proof. Homeopathy is not a savior but it is a definite healer, and it enabled me to improve my children’s health while decreasing our medical expenses. Each ND will obviously do it differently, but my introductory visits, during which all my detailed medical history was reviewed, cost $350. This was 2 visits, totaling 2.5 hours. Then, all subsequent follow-up visits are $85. The cost of remedies/supplements will be different for everyone. I was a mess when I began seeing my ND, so she recommended several things for me. As your condition improves, some of the supplements will be discontinued or changed. My homeopathic remedy is $12, and lasts about 2 months. My supplements vary from $12-$40, and each last a month or more. My ND (and I’m assuming others) offer many payment options since insurance can’t be billed. Thanks for this post, Betsy! I have a couple friends who have had great results with their NDs, and I had been thinking of trying it myself. Do you know if insurance covers this type of treatment? It’s my understanding that it varies from state to state. (And maybe even office to office.) Insurance does not routinely cover visits with NDs in my state (N Carolina). This is great! I need to say, though, that “traditional medicine” is actually in line with that which you are now happily entrenched in: naturopathic and homeopathy. Western medicine, which is what you’ve stepped away from, is not considered traditional. Thanks for catching this Ellen! Hi Betsy – I actually don’t have an ND in my area so I am doing the next best thing – Learning as much as I can about herbs and their application. I am working on my Master’s to that end so I can treat myself and my husband. It has made a huge difference already and it has only been a year. Our allergies are starting to clear and for the first time in six years (since I tore the meniscus on my right knee), my knees don’t hurt. I think your experiences are similar to mine and thank goodness for alternatives, huh? I will be interested in the next update. Have a great week! Good for you Carol! Isn’t it exciting to see the difference in your body after applying natural treatments? I never knew my body could have such a positive turn-around in such a short time. Good luck with your studies! When I click on the link to find a doc in my area it takes me to the diy moisturizing article you wrote a bit ago??? Am I doing something wrong? Updated the link in the article Jen, thanks for the heads up. Here is the link you’re looking for.